I am joining today with other bloggers who write on gifted topics to talk about Holiday Gifts Without Buy-Buy-Buy. How do you reign in consumerism in your kids and give gifts that will hopefully be remembered and appreciated over time, not just played for an hour and set aside? Do your kids write wish lists or a letter to Santa detailing what they want? 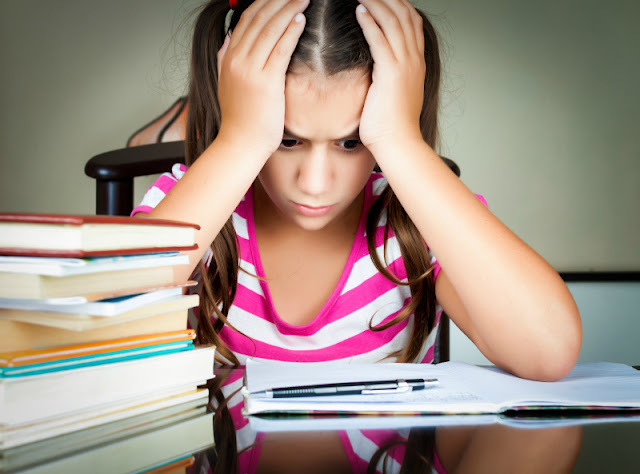 I think most kids who can write do so even if they hate writing otherwise. But how do you limit what kind of things show up on the list? For once, you can actually set the limit on how many items can appear there. This year we are hoping to get to a classic Something you want, something you need, something to wear, something to read. Also, it really helps limit exposure of your children to advertising – both to gift catalogs and to TV with commercial breaks. Sometimes our children desperately want something that we are not willing to give them. For example, our 8 year daughter would love to get Nintendo DS with Animals Crossing, but we don’t think that she needs to spend her limited free time playing electronic games. We suggested that she saves for Nintendo, and she immediately lost interest in this idea. She does have access to our family laptop (in reality, it’s her laptop, but she doesn’t realize it) and to our family iPad, but she doesn’t have unlimited access and has to ask for permission. Don’t feel like Grinch for sticking to your rules regarding items that you don’t find appropriate. Also, it will help to communicate your rules to your extended family, so your children don’t ask Grandma to give them something that you don’t want them to have. The last wish gave us an idea, and for her birthday in October we gave her a coupon book meticulously designed by my paper craft loving husband. No, she didn’t get “get out of trouble free” coupon even though we discussed it between ourselves. But she got some other offers that she was absolutely delighted about. When I look back at my own childhood where I was also raised as a middle class only child in the former Soviet Union (but with vastly different options in terms of presents), I don’t remember every single gift I got (especially since space in our apartment was limited and I was mostly getting “practical” gifts of clothes and crystal glasses). I remember only those gifts that I really wanted or that were delightfully unexpected, for example, a pack of colorful markers that at the time of my childhood were still a rarity. What I remember more is the feeling of anticipation, of family togetherness, of me falling asleep in a tiny apartment of my grandparents where we usually celebrated New Year’s Eve expecting something miraculous to happen the next morning. This is the true Christmas memory that I want to leave for my daughter – not what she got, but that she was loved on that day and every day of the year. What kind of non-material gift will you be giving this Christmas? 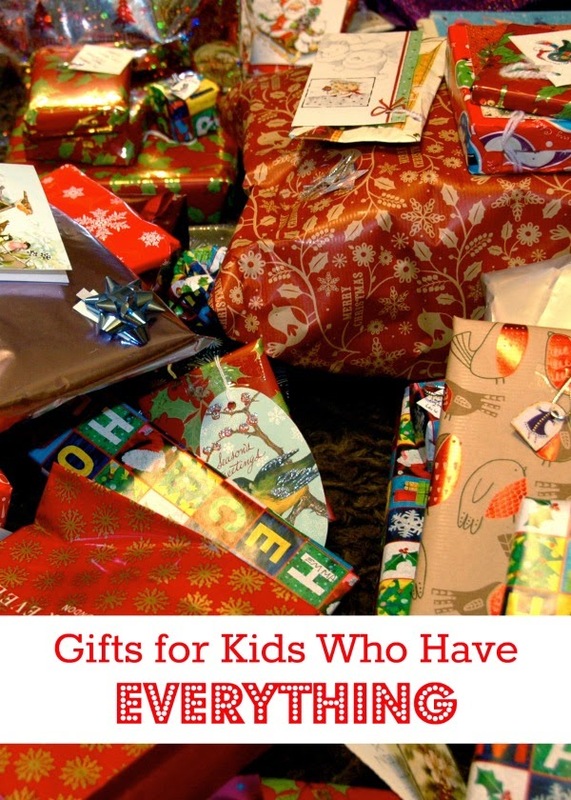 I love to give presents, so it is very hard for me to limit what I buy my kids. I've already bought most of their presents for what I've planned and I keep seeing other "perfect presents" for the kids. My aunt and uncle used to take me and my cousin to the bookstore every year for our present - it was a wonderful outing and a great memory to this day. I love the "get out of trouble free" card. I could certainly used some of those in my day! lol! Reading your post makes me realise I have seldom asked my chidlren what they want. I was quite surprised when my elder son said he wanted an owl soft toy for his birthday because my mother did not know what to get for him. I never knew that he likes soft toys, and that he likes owls. Only my younger son is very clear in telling me he wants Kinder Surprise (which I heard is banned in US). He wants that almost daily, but chucks the toys aside, and merely have one or two licks of the chocolate. Thank you for the glimpse into your child hood! I think children do feel the difference between love and just getting presents. I hope mine feel loved. I love the idea of a coupon book for your children! We've done it as gifts FROM the children, but never FOR the children. My daughter (also a great independent sleeper) also dreams of sleeping over in my room. We did it once when we had an overnight guest who used her bedroom. She would treasure that gift! Thanks for the idea! Setting limits and focusing on the priceless moments are great gifts to give your kids. I love these wise suggestions ! I can empathize with you on setting limits and trying to rein in the material world. It can be a challenge today with setting limits in a world of abundance. And don't get me started on how we all seem to have our own mini ToysRUs stores in our homes. This year i am giving gifts with books. For example, with "Aw, Nuts", there is a squirrel feeder to put on a tree outside our window. With a space book comes a coupon for a trip to the local space museum (which I am tired of, but...it's like your cosleeping coupon!) I have posted several ideas on my blog in the last couple months. They are also mostly sharing gifts - my four usually end up sharing toys anyway, and this way they will feel like they got a lot more than they did! P.S. - where in the former Soviet Union? I lived in Dnepropetrovsk, Ukraine for a couple years in the early nineties. Smart ideas! My kid's wish list started out pretty small (Frozen dolls, three hula hoops -- why three I don't know -- a subscription to Ranger Rick) but she keeps adding to it. I love the way some of your gift ideas focus on treats and activities. As a family, we really value this more than anything else. I love giving coupons! Thanks for posting. Hello from Frugal Family Linky. Great post! Although our kids will get some material gifts this Christmas and New Year's Eve (oh the joy of raising a Russian-American child :)) we have limited the asking and gave a fair warning about realistic expectations. I love your idea about coupons, I might try that. I was thinking of "share the skill" -a little event for everybody, stretch it over the first week of January perhaps. For example I can do a needle felting workshop with kids and my mom, grandma can teach kids how to make pancakes, D. can teach us how to fold origami swans etc. We will be making a gift for birds. We will also have a holiday concert in our home and everybody who plays an instrument will play a piece or two for family and friends.